Welcome to Fremont Auto Center, the premier Fremont Porsche service and repair shop. We specialize in repair and service of European vehicles. Our highly trained Porsche technicians can provide a full range of services – from recommended maintenance, to complex diagnostics, to major repairs. 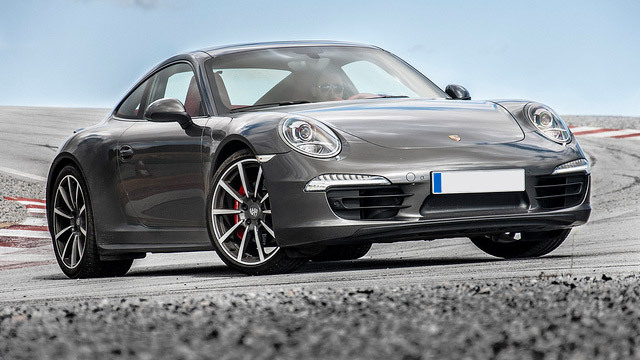 Whether it’s the limited slip differential locking, the direct fuel injection, dynamic chassis control, Porsche active suspension management, the variable valve-timing system, or torque vectoring, your Porsche is full of sophisticated, high performance technology – it needs to be inspected and well maintained by a competent Porsche technician. Servicing your Porsche with Fremont Auto Center fulfills the requirements to keep Porsche manufacturer warranty in force. At Fremont Auto Center we not only offer factory recommended services, but being a full service Porsche repair shop, we can provide: advanced diagnostics, electrical system diagnostics and repairs, check engine light diagnostics, ABS brake system inspection and repair, a/c recharge, radiator repair, wheel bearing replacement, shocks and struts, belt and hose replacement, transmission repair, battery replacement, suspension inspection, as well as major engine repairs. Porsche models we work with include: Porsche 718, 911, Carrera, Cayenne, Cayman, Macan, Boxster, Panamera. We welcome your vehicle at our Fremont Porsche repair facility - whether it needs routine maintenance or major repairs, we will provide you with superior Porsche service - schedule an appointment online, or simply call us.